Buying your first guitar can be a bit of a scary thing if you don’t know what you’re looking for. Salesman can be annoying, pushy, and hard to trust. My goal with this post is just to give you a few things to consider when you’re looking around. There are so many good guitars available now - at reasonable prices - you can surely find something you like that should last a long time. The first place you need to start is to decide how much you want to spend on your first guitar. There are decent guitars in all price ranges. I have seen guitars that cost less than $100 that were totally playable. For this post I will assume you plan on spending less than $500 on your first guitar. If you are one of the few that can get whatever you want, more power to you that’s awesome. A lot of people consider the country of origin to be the ultimate test of whether it is a good guitar or not. To an extent this is a totally relevant approach to buying a quality guitar. The trouble with this mentality and you wanting to spend less than $500 is that it is hard to get something made in the USA for that price. Nowadays, there are plenty of guitars made in Korea, Japan, Mexico, China, and Canada that sound and play great for not too much money. You can get a lot of bells and whistles for your $500 or less if you’re buying a foreign made guitar. To me the first place I look to see if a guitar is of any quality is the tuning keys. How well do they turn? 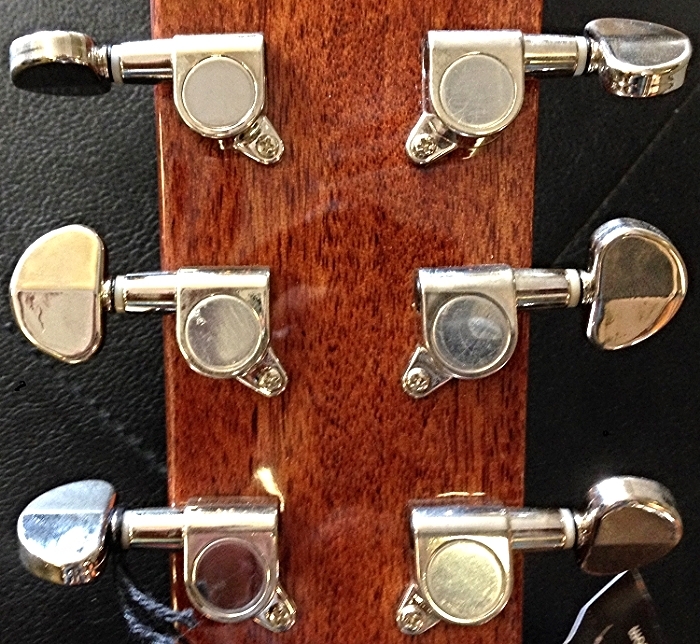 Are they sealed tuners or open gear tuning keys? Is there any play when you turn the key? You want a good solid key that turns smooth. You don’t want a lot of play in a tuning key. If it’s an open gear tuning key make sure the construction of the key is solid. There are a lot of guitar manufacturers that use quality open gear tuners that are great keys. The type of wood a guitar is made out of has a whole lot to do with the tone and quality of sound the guitar will produce. First you need to find out if the wood in the guitar you’re interested in is made of solid or laminate wood. There are also different combinations. 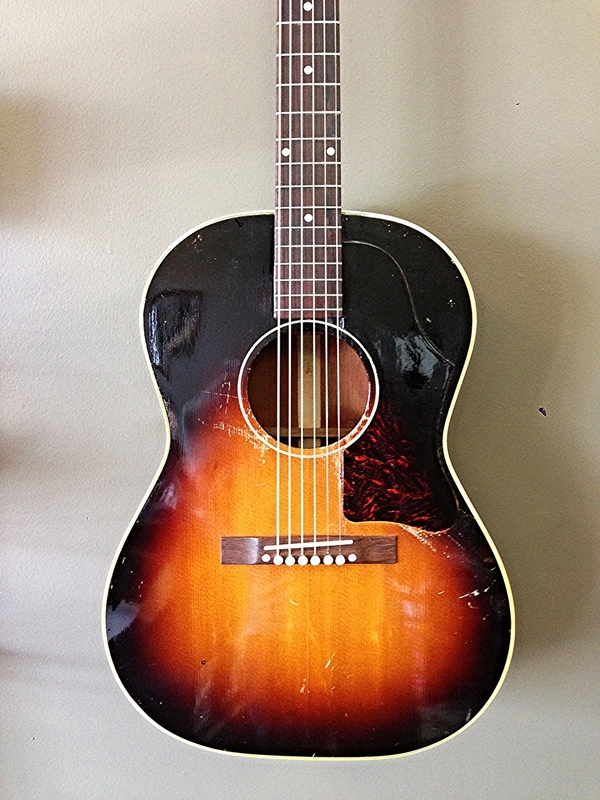 You may have a guitar with a solid wood top and laminate back and sides. There are different arguments for whether laminate is all bad. A good thing about a laminate guitar is that it will tend to move less. Real, solid wood will move and change shape over time. Solid wood also ages nice in regards to sound. In my opinion, if you can get a solid wood guitar you should. An easy way to tell if the guitar you’re looking at has a solid top is to see if you can follow the wood grain into the sound hole. A laminate top guitar will have the wood grain just stop and you can see where the next layer of wood begins. The type of wood your guitar is made out of will also play a huge role in the sound. A denser wood grain will produce a brighter tone. Maple has a bright sound where cedar has a deep warm tone. 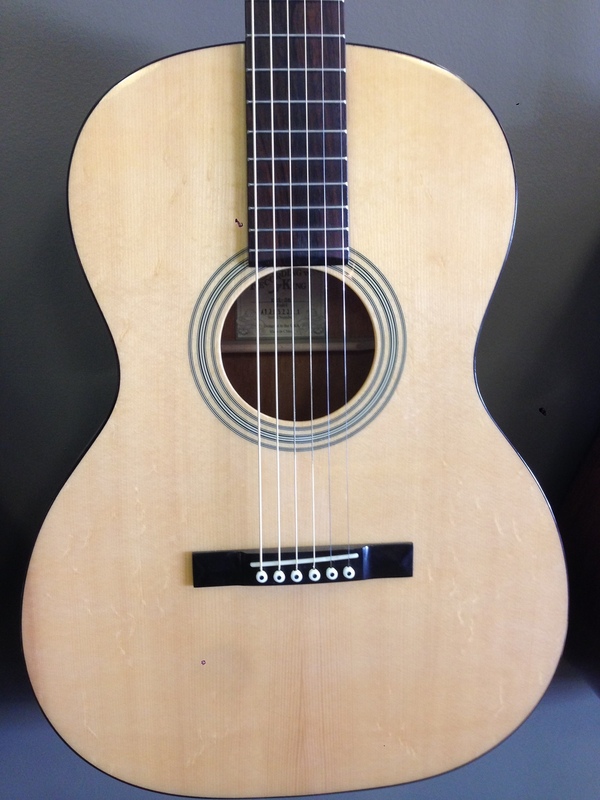 About the most common type of wood you see on the top of a guitar is some form of spruce. Spruce has a good in between sound to me. For the back and sides you see mahogany and rosewood used a good bit. In this price range finding solid rosewood back and sides will be difficult. There is no right answer as to “What type of wood should I get?”. You need to use your ear and decide what you like. The material that the nut and saddle are made of will also really make a big difference in the quality of sound the guitar makes. My favorite material for this is bone because it looks nice and is really dense (hard). The density of bone makes the transfer of vibration from the strings to the top of the guitar very efficiently. That is the ultimate goal. You will see a lot of inexpensive guitars use plastic for these parts, which is my least favorite. There are a lot of other materials out there that have their pluses. A few other materials you see are: graphite, brass, metal, Corian, TUSQ, and buffalo horn. A lot of people think that the brand of guitar will tell you whether or not a guitar is quality. This isn’t a terrible way to look at things but shouldn’t be the only way you look. These companies are familiar to you because they did something right. Most manufacturers now make inexpensive guitars. Not all inexpensive guitars are equal. What I’m saying is don’t think that just because it says something on the headstock that rhymes with blender makes it a good guitar. Be open minded when it comes to this, look for quality over the name brand. There are many different body styles and scale lengths available. A smaller body guitar will sound a lot different than a big jumbo body guitar. This is another place where you have to decide what you like. I like all different types based on what my application is at that time. The scale length has to do with the distance from the neck nut to the saddle. The scale can effect the sound and the way a guitar plays as well. A shorter scale guitar will have less tension on the strings and make it feel a little easier to play. This doesn’t mean you won’t like a longer scale. You should play both and decide. So I’m guessing you want a pickup in the guitar so you can plug it up? I’m a bit old school when it comes to this. I personally do not like pickups in my acoustic guitars. I get that they are convenient and it’s nice to be loud. There are a ton of pickups available now that sound great. I just don’t care for them. I buy an acoustic guitar because I love how it sounds. I have yet to find a pickup that I can make sound just like my guitar. Another problem I have with this is that a lot of pickups are underneath the saddle of the guitar. This is something else that will absorb the vibration from the strings before it gets to the top of your guitar. All this being said, I understand that if you play your guitar out a lot you may really need to get a guitar with a pickup. I choose to mic my guitar when I play out and it does present some challenges occasionally. The finish of the guitar is something else to consider. You can’t necessarily say a certain type of finish will always be the best. A lot of this is just preference. You should just look at the quality of the finish. Check for flaws. This will be a good indicator as to the care taken in the construction of the guitar. The playability of the guitar is absolutely something to consider when buying. Is the neck straight? Does it need to have the saddle adjusted? Are the nut slots cut right? Are the frets all level (this is a biggie and can be an expensive repair). Here’s the thing though, this stuff can all be fixed. If you have a guy in town that knows much about guitar repair chances are he can make your guitar play well. Finally, the absolute best way to determine if this is the guitar for you is to decide if you like the sound. The sound of the guitar to me is the ultimate factor in whether I like a guitar or not. I recently bought a guitar for $50 that I think sounds as good (different of course) as some $2000 guitars I have played and owned. Trust your ears, everyone will have their own opinions. You need to decide if you like the sound. Hopefully if you like the sound it will inspire you to keep picking that thing up.